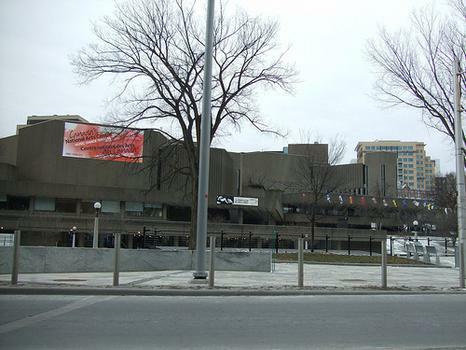 The Canadian War Museum is Canada's museum of military history, and presents its involvement in armed conflict from the battles between the French and British, through to the World Wars, Korea, and current involvement in NATO and UN operations. The Canadian War Museum is Canada's museum of military history, and presents its involvement in armed conflict from the battles between the French and British, through to the World Wars, Korea, and current involvement in NATO and UN operations. 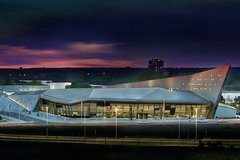 The striking building on the southern bank of the Ottawa river has a rooftop memorial garden, and a collection of more than 3 million artifacts, specimens, works of art, written documents, audio and video recordings, and military holdings including rare vehicles, artillery, uniforms, medals, personal memoirs and war art. The permanent exhibition is spread over 4 chronological galleries. The first gallery, Battleground, explores warfare from the times of the early First Peoples in pre-contact Canada to the Battle of Batoche in 1885, delving into the Battle of the Plains of Abraham at Quebec City in 1759. The second gallery, For Crown and Country explores Canada's military participation overseas, from the South African War at the turn of the 20th century through World War I till 1931. The third gallery Forged in Fire explores Canada's role in World War II till 1945, and the fourth gallery A Violent Peace focuses on the post-war era through the cold war, and present day international peacekeeping efforts.